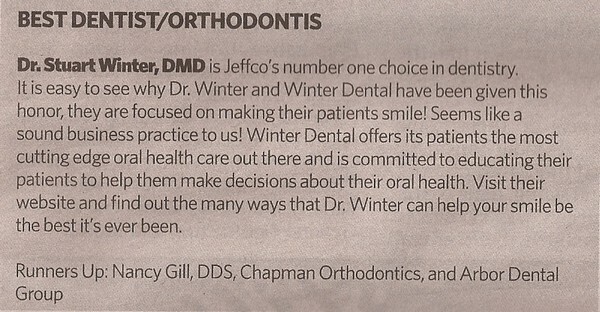 Winter Dental in the News! Dr. Winter and Dr. Smutz were chosen by 5280 magazine as Top Dentists in the Denver area for 2017. This is the fifth year Winter Dental has been chosen for this award. 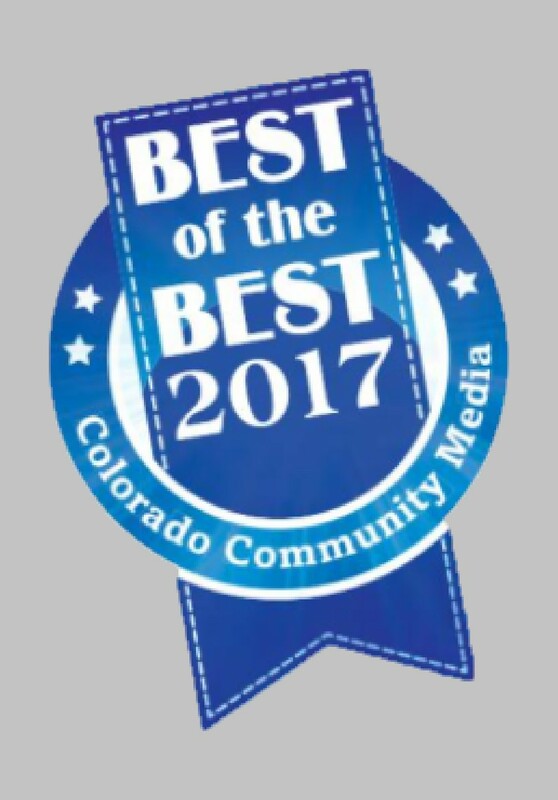 Winter Dental was chosen favorite dentist and cosmetic dentist in Arvada for 2017 by the readers of Colorado Community Media. 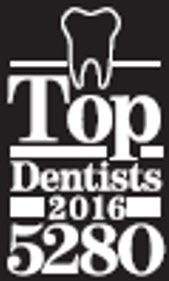 We are proud to announce Dr. Winter was chosen Top Dentist in the Denver area for 2016 by 5280 magazine. 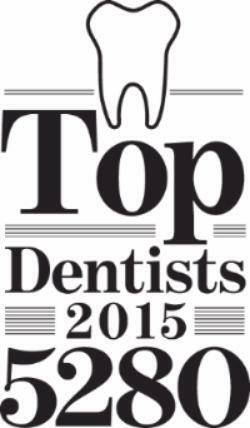 Way to go Dr. Winter for being chosen Top Dentist in the Denver area for 2015 by 5280 Magazine! 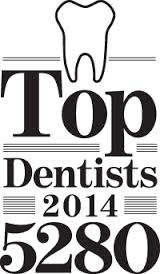 Dr. Winter and Dr. Smutz were voted Best Dentist and Best Cosmetic Dentist in Arvada. This honor was featured in the Winner's Guide from Colorado Community Media. 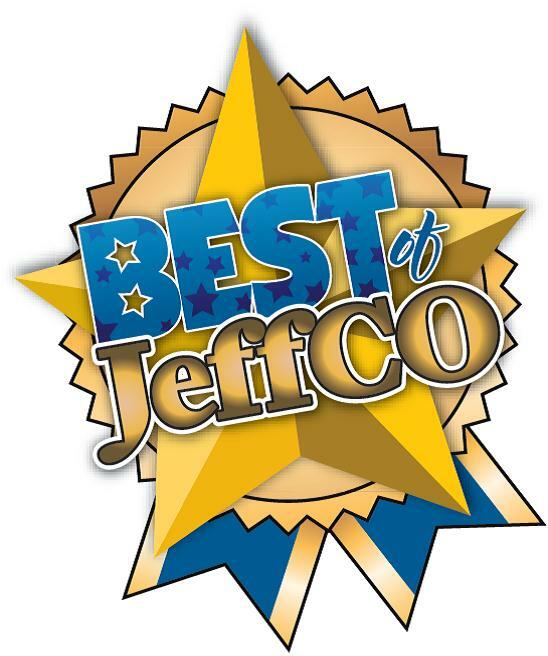 Thank you Jefferson County readers for your support! Congratulations Dr. Winter! This outstanding honor is the third year in a row that Dr. Winter is named Top Dentist in the Denver area. Exciting news! 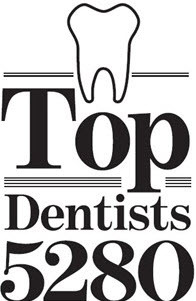 Dr. Winter was named Top Dentist is the Denver area for 2013. This award will be featured in June's issue of 5280 magazine. Congratulations Dr. Winter! Wow! Dr. Winter awarded First Place for Best Cosmetic Dentist in Jefferson County. This prestigious award was voted on by the readers of Mile High Newspapers. Also, he came in second for Best Dentist in Jefferson County. Congratulations Dr. Winter! 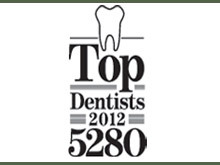 We would like to celebrate Dr. Stuart Winter being named Top Dentist in Denver by 5280 magazine for the year 2012. This outstanding honor was voted on by his peers. Congratulations Dr. Winter! 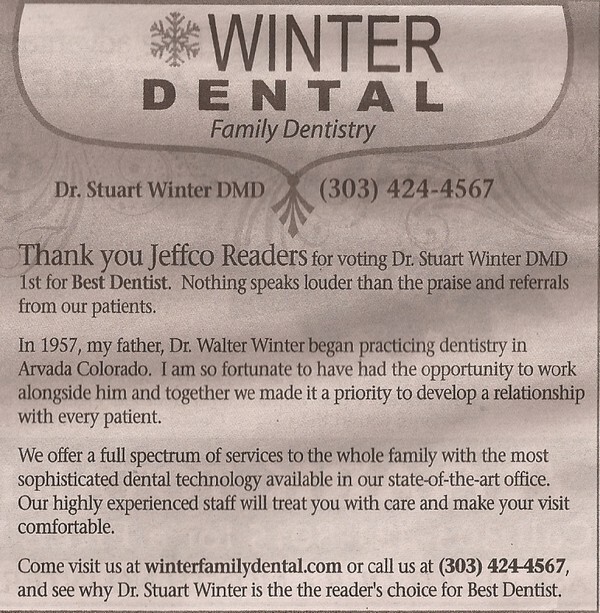 Dr. Winter voted favorite dentist in Jefferson County by Mile High Newspaper readers. This office is the best! Dr. Smutz and Dr. Winter are the nicest dentists I have ever met. The front office is extremely friendly! They even have the technology to text remind you of appointments. I was always anxious about going to the dentist my whole life, but this place has been so amazing, I'm excited for upcoming appointments. From the minute you walk in, they help you in every way to make you comfortable. The staff takes the time to explain everything, and the Doctors sit down beside you and answer any and all questions you have. Thank you to the WHOLE team at Winter Family Dentistry.